About 800 million people are without safe drinking water, while 2.6 billion people do not have adequate sanitation facilities, according to the UN's World Health Organization. Poor access to safe water and sanitation contributes to health crises in many developing countries and increasingly leads to violent conflict. Projects should be submitted via the website by May 2, 2016. To help improve the situation, the RELX Group Environmental Challenge is calling for innovative proposals to ensure safe water and better sanitation for at-risk communities in developing countries. The first prize winner will be awarded $50,000, and the second prize winner will receive $25,000. In addition, the winning projects will be featured in Water Research, the official journal of the International Water Association, published by Elsevier. All applicants are offered access to relevant material on Elsevier’s ScienceDirect database, which contains 370,000 articles on environmental science, as well as RELX Group’s open-source big data technology, known as HPCC Systems (High Performance Computing Cluster), to allow the processing of large amounts of research data. Shortlisted candidates will be announced in June and invited to develop their proposals further. Shortlisted projects will be considered by a panel of international experts. The winning projects will be announced in August. In 2016, RELX Group will continue to extend awareness of the Environmental Challenge through a media partnership with the Guardian Global Development Professionals Network, which gives those working and interested in the field access to related comment, analysis, news and events. This is the sixth year that RELX Group, Elsevier's parent company formerly known as Reed Elsevier, has held this challenge. The 2015 first prize winner, AIDFI of the Philippines, provides reliable drinking water to upland rural areas using a unique hydraulic ram pump. 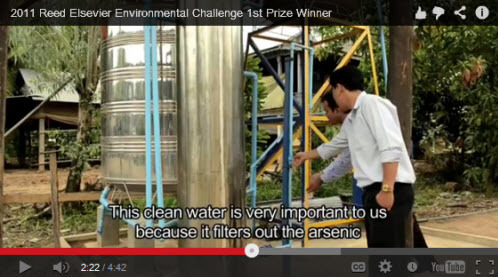 The 2011 first prize winner, the Tagore Sengupta Foundation, is helping to prevent arsenic contamination to water in a community in West Bengal, India. 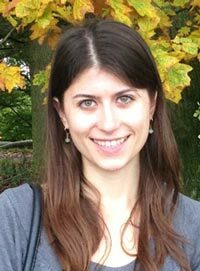 Emmy Stevens, Corporate Responsibility Project Manager for RELX Group, manages the RELX Group Environmental Challenge. She is based in London.